President John Quincy Adams: Short biography of President John Quincy Adams and the key events during his presidency. John Quincy Adams (1767-1848), nicknamed the "Abolitionist", was the 6th American President and served in office from 1825-1829. The Presidency of John Quincy Adams spanned the period in United States history that encompasses the events of the Evolution Era. President John Quincy Adams represented the Democratic-Republican political party which influenced the domestic and foreign policies of his presidency. The major accomplishments and the famous, main events that occurred during the time that John Quincy Adams was president included the completion of Erie Canal (1826), the Tariff of 1828 and construction began on the Baltimore and Ohio Railroad (1828). John Quincy Adams was a firm abolitionist and led the fight against the Gag Rule to force Congress to receive antislavery petitions. John Quincy Adams died following a stroke on February 23, 1848, aged 80. The next president was Andrew Jackson. The Nickname of John Quincy Adams: "The Abolitionist"
The nickname of President John Quincy Adams provides an insight into how the man was viewed by the American public during his presidency. The meaning of the nickname the "Abolitionist" refers to his campaign against slavery and his determination and persistence in bringing up the slavery issue against the 'Gag Rule' of Congress. After his presidency he continued his fight against slavery during the Amistad Slave Ship Incident when he acted as defending counsel of the 35 surviving slaves successfully arguing that the men should be freed enabling them to return to their homeland in Sierra Leone in Africa. The character traits of President John Quincy Adams can be described as reserved, austere, persistent and determined. It has been speculated that the Myers-Briggs personality type for John Quincy Adams is an INTP (introversion, intuition, thinking, perceiving). A modest, quiet, stoic character with a preference to work informally with others as equals. 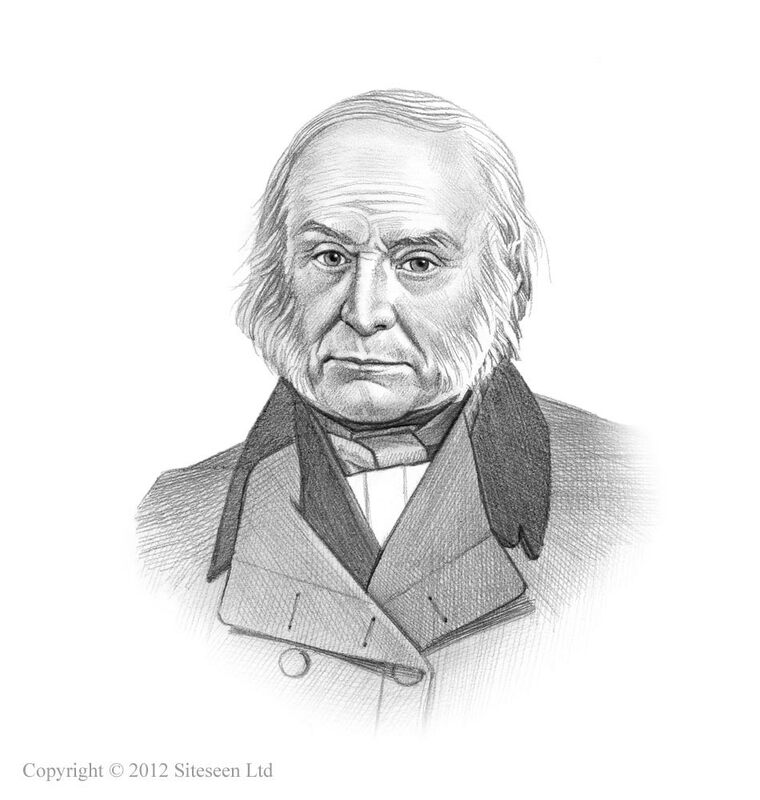 John Quincy Adams Personality type: Quiet, analytical, impatient and thoughtful. The accomplishments of John Quincy Adams and the most famous events during his presidency are provided in an interesting, short summary format detailed below. Summary of the Erie Canal: The great Erie Canal stretched for 363 miles linking the Great Lakes with the Atlantic Ocean. Construction began on ‎July 4, 1817, it was first used on ‎May 17, 1821 and finally completed on ‎October 26, 1825. The Erie Canal was a feat of U.S. engineering and a source of great national pride to the United States. It enabled the transportation agricultural products and manufactured goods between the American interior and Europe. Summary of the General Survey Act of 1824: The General Survey Act of 1824 authorized the president to have surveys made of important transportation routes such as roads and canals. The Corps of Engineers were given the role of conducting surveys and charting transportation improvements that were vital to the nation's commercial growth and military protection. Summary of the 1828 Tariff of Abominations: The 1828 Tariff of Abominations favored the commercial interests of the North at the expense of the South resulting in the rise of taxes on southern raw materials, like cotton and tobacco, and ultimately led to the Nullification Crisis of 1832 during the presidency of Andrew Jackson. Summary of the South Carolina Exposition: The South Carolina Exposition was a document was written by John C. Calhoun, vice president under John Quincy Adams, in opposition to the Tariff of Abominations and reinforcing the principle of Nullification. Summary of the Horse Car: The Horse Car, horse-drawn stage coaches, wagons or carts, was the early form of public transport in the cities. John G. Stephenson built the first horse cars and his vehicles were used on the streets of New York in 1832. The Horse Car was a great success and soon spread to other large cities such as Philadelphia, Boston and New Orleans. Summary of the Railroads in the 1800s: The Railroads in the 1800s exploded in 1830 when Peter Cooper's steam locomotive, named Tom Thumb first steamed along 13 miles (21 km) of Baltimore and Ohio railroad track and by 1860, there were more than 30,000 miles of railroad in operation. Summary of the Gag Rule: The Gag Rule was applied in Congress from 1836 to 1844, banning petitions calling for the Abolition of Slavery. After his presidency John Quincy Adams continued his involvement in politics as a member of the House of Representatives where he fought for the abolition of slavery and the end of the 'Gag Rule' during his involvement with the Abolitionist Movement.